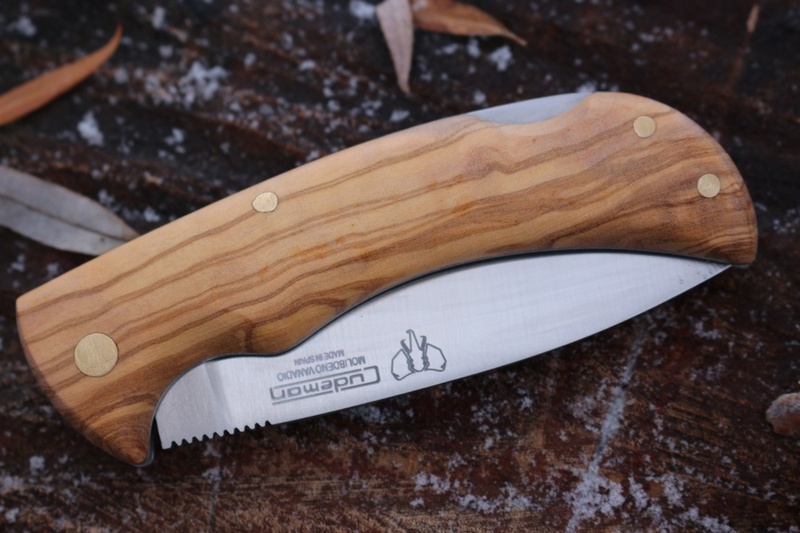 Nice quality practical Folding knife from Cudeman Spain. 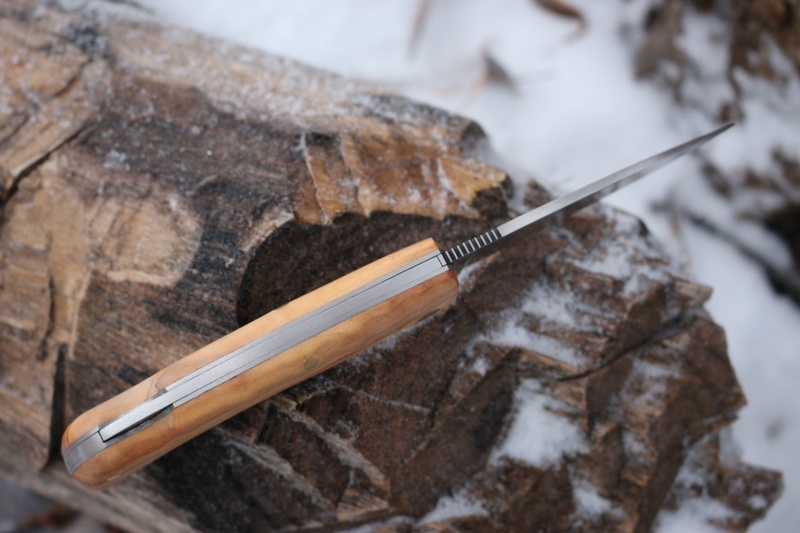 This is a Medium sized lockback, with full stainless liners and brass pins, its a useful back-up, EDC and general Camp Knife. 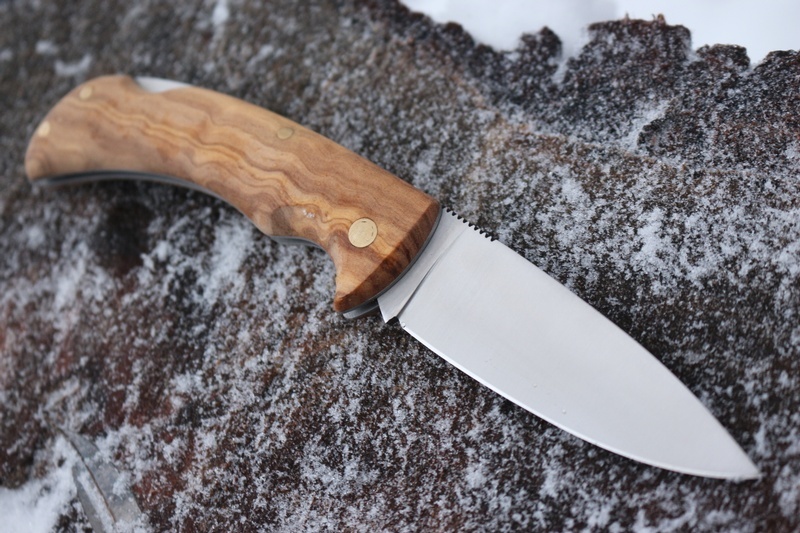 Quality Olivewood slabs with a drop point blade, flat ground, of M. Vanadium Steel approx 56 HRC. Nicely scalloped handle, spine jimping, nice quality and great value Knife. Blade 3 1/4in, 2.5mm thick. 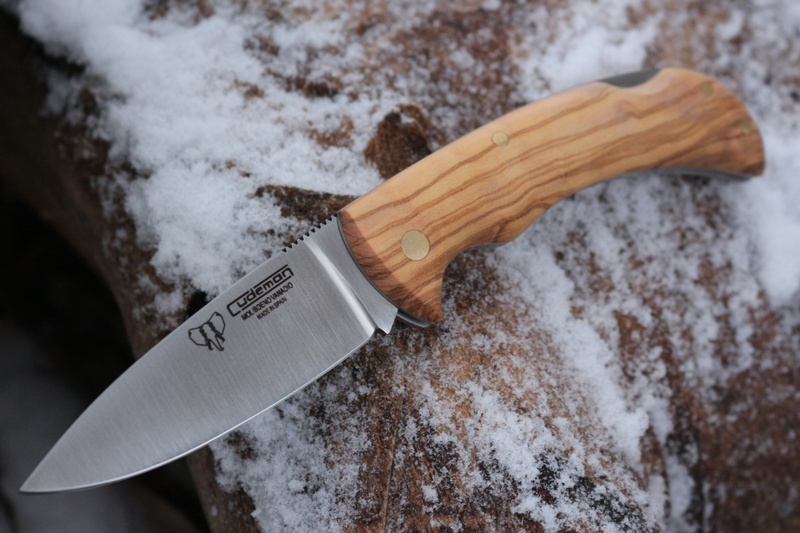 Purchase through PayPal by using the "Add To Cart" button above or use the form below to order the Cudeman Olivewood Folder . 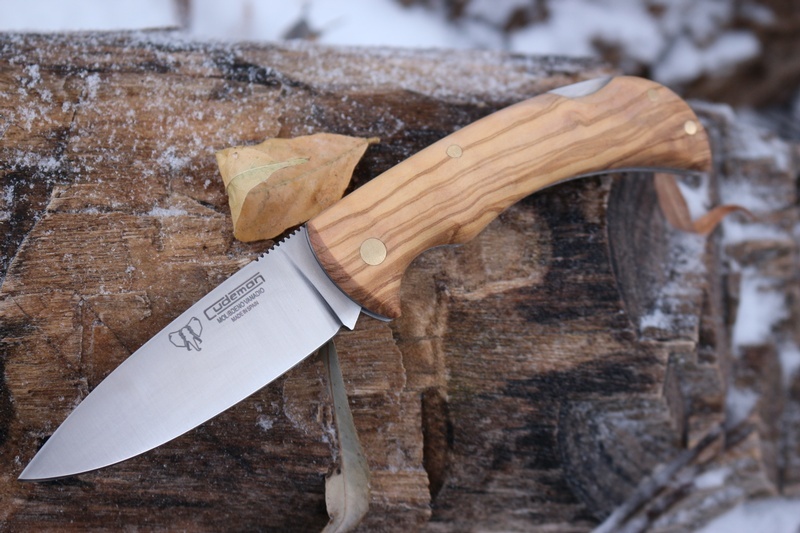 Feel free to contact us if you have any questions about the Cudeman Olivewood Folder .